The Nang Jang is a collection of the most secret instructions Dudjom Lingpa received through a serie of visions of various enlightened beings, like Vajradhara himself, Vajrayogini, Ekadzati and the such. These instructions point out the view of Dzogchen. 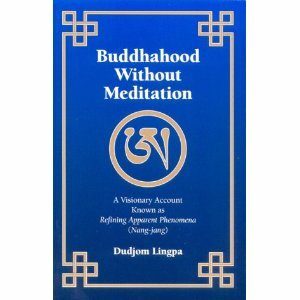 This text focuses primary on Trekchö, and is of central importance in the Dudjom Tersar tradition. According to Dudjom Lingpa, the Nang Jang is "a direct transmission of Dudjom Lingpa's Dzogchen approach, so powerful that even hearing it read aloud ensures that the listener will eventually escape the suffering of samsara." According to Dudjom Rinpoche, "The Nang Jang was prepared as an inexhaustible treasure trove of the gift of the Buddha's teachings, the relics of the dharmakaya." This page was last edited on 21 April 2014, at 10:11.